Here you can buy the license file for MiGiC. When you bought it, we are sure you will have loads of fun and creative sessions with MiGiC. If you have any questions don´t hesitate to contact us at info@migic.com. Also, make sure that you have download the software which is available here. we'd love to understand who is using MiGiC! Payments to MiGiC Music is handled entirely by Braintree, a PayPal owned company. Click the link to verify authenticity. Use PayPal or enter your credit card details. When done, press the "Buy MiGiC" button below. MiGiC is a software owned and distributed by the Swedish company Migic Music AB. This is a personal license to use MiGiC Evo. The use of MiGiC is restricted to be used on only one computer. The license is tied to a specific computer, so be sure to get your activation code by using MiGiC on the computer you intend to use MiGiC on. The products include VST and AudioUnit plugins as well as a standalone application, and the license is valid for all applications. It is compatible with most digital audio workstations. You may not copy, modify, sublicense, or distribute the MiGiC software to other parties. Realtime audio tracking will always come with some latency. The MiGiC algorithms are extremely effective and therefore has the capacity to detect and convert notes from an electric guitar to midi in (almost) realtime. However, the actual performance depends on several parameters, such as the state of your hardware (computer, sound card, guitar etc.) It also depends of the way the user is playing; the cleaner and more distinct you play your guitar, the better MiGiC will track with almost no (hearable) latency. MiGiC Evo is monophonic and can therefore only detect one ringing note at the time. All drivers, software and tools available for download through any website owned and operated by Migic Music AB are the copyrighted work by Migic Music AB. The download and use of such drivers, software and tools is only allowed if the downloading party (in the following: customer) agrees to the license agreements below. 1.1 Although Migic Music AB has tested the drivers, software and tools thoroughly, MiGiC does not guarantee that the drivers, software and tools available will be uninterrupted or error free. In addition, Migic Music AB does not guarantee that the content on its sites is always up-to-date. Its sites and any content is distributed on an "as is, as available" basis. 1.2 Any material that customers download or otherwise obtain through Migic Music AB's sites is done at the customer's own discretion and risk, and the customer will be solely responsible for any potential damages to his hardware or loss of data that results from the download of any such material from Migic Music AB's sites. 1.3 The customer is solely responsible that any downloaded material meets customer’s requirements and expectations. 1.4 The customer is solely responsible for adequate protection and backup of the data and equipment used in connection with any downloaded software, drivers or tools of Migic Music AB's site. 1.5 Under no circumstances will Migic Music AB be liable for any indirect, punitive, special, incidental or consequential damages or any loss of profit, loss of production however they may arise and regardless on which legal basis they are based on. 1.6 Some countries do not allow exclusion of implied warranties or limitation of liability as outlined under the clause above, therefore, the above limitations or exclusions may not apply to you. In such countries, Migic Music AB’s liability shall be limited to the greatest extent permitted by the relevant law. 1.7 The parties agree, that the courts of Sweden shall have the exclusive jurisdiction in respect of any dispute, suit, action or proceedings which may arise out of or in connection with this agreement. 1.8 We have a no refund policy on all of our software. We do this because we offer free, fully functional trial versions for all of our software. These trial versions allow you to test the software risk-free before you decide to make a purchase and this is something we encourage everyone to do. There is no way to guarantee that our software was actually removed from a system after it is installed. As the products of Migic Music AB evolve, our Terms and Conditions are likely to evolve with it. We will post any changes on this page and, if the changes are significant, we will provide a more prominent notice. Migic Music AB, further referred to as Migic Music, respects your privacy and the right to control your personal information. Our guiding principles are simple. We will be open with what data we collect and why. We will protect your data in accordance with applicable regulations. Migic Music collects the information primarily from you as a customer. Examples of personal information we collect are name, contact details for you such as mobile phone number, e-mail address. 1. When you enter your e-mail address or your mobile phone number on the website. 3. If you contact us via email, by phone, our websites and social media. 4. If you sign up for our newsletters. 5. When you visit our websites, collection, but not limited to, traffic data, location data, weblogs and other communication data, such as, for example, the IP address, type of device, operating system and browser type used for the visit. This is recorded by cookies. By clicking the “I agree” button, you agree that the personal information, such as your name, phone number and email address may be used for marketing purposes. We may also collect your IP address, geographic position, and interests in order to better adapt our marketing to you. When you click on the “I agree” button, you agree that we may add a so-called third party cookies to your computer from Migic Music. This cookie will follow you and your surf behavior in order to offer you marketing based on your behavior. 2. Enable good customer service, like managing your support cases, correcting incorrect information or sending information you have requested e.g. product information, educational information, newsletters or other types of information related to Migic Music activities. 3. Information on ordering services and products is stored and analyzed, as well as the basis for offers and discounts as well as marketing of both general and targeted nature. 4. In order to manage customer profiles, conduct analyzes and make follow-up surveys on customer satisfaction and market research. 5. To develop, deliver and improve our products and services through analysis of your behavior on our websites. 6. To send you information and marketing via email or other digital contact routes such as social media since you have an active customer relationship with us. 7. To contact you via email or mail about other product offers, promotions or services that we believe may be of interest to you, of course, with the ability to refrain from this kind of marketing. 8. To help us develop our website and to improve your user experience of the platforms and solutions offered through Migic Music, by customizing the display of services to the device used. 9. To send important messages as communication about changes in our terms and policies. If required by national or international legislations, we may need to share your personal data with authorities, such as the Swedish Tax Authority (Skatteverket) or the Swedish Social Insurance Authority (Försäkringskassan). We always do our best to make sure that your personal data is not stored or otherwise processed in countries outside of the EU/EEA. If your personal data is transferred to countries outside the EU/EEA, we will use the necessary safeguards to ensure that your personal data is processed in a way that is in accordance with applicable privacy regulations, such as appropriate safeguards for the transfer. 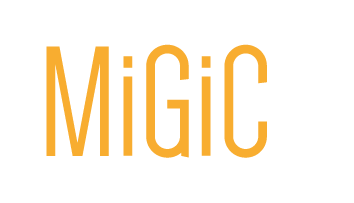 By submitting data to Migic Music, you grant your permission for Migic Music to record and store information about the product or service purchased and processing the specified personal data for the specified purposes. As a legal basis for treatment, Migic Music will refer to compliance with contract, legal obligation, legitimate interest or consent. If Migic Music uses legitimate interest as a basis, it will only be done for the purposes stated above. Please note that you can revoke your consent at any time by contacting us. The treatment is in accordance with current legislation and means that personal data are not retained for a longer period than necessary for the purpose of the treatment. Migic Music will store personal information as long as you are a customer with us. For marketing purposes, email address and name are stored, provided that it is not contradicted. Other possible data will be deleted as they are no longer relevant or necessary for analysis or direct marketing for the purposes for which they have been collected. Some information may be retained longer when required due to other legal requirements, such as the accounting law. However, all handling of personal data always ensures high security and confidentiality. You have rights regarding your personal information and you are able to influence your information and what is saved. Migic Music will, on its own or the customer’s initiative, rectify data that is found to be incorrect. You can also at any time request that your data be deleted or that its use is limited by contacting us (for contact routes see the heading “How to contact us”). If you believe that your rights are not respected by us, please contact Migic Music or you can consult the data inspection (datainspektionen@datainspektionen.se). You can at any time refrain from receiving marketing communications from us by clicking “unsubscribe” in the email we send you. You are always welcome to contact us for help declining our communications. In the event that our site contains links to third party websites, websites, or materials published by third parties, these links are for information purposes only. Because Migic Music has no control over the content of these websites or its materials, we are not responsible for its contents. Migic Music is not liable for any damages or losses that might arise from the use of these links. Also, check out our Terms and Conditions. If MiGiC is already running in trial mode, quit. When starting MiGiC, a "Trial mode" pop-up will be shown. By clicking the "Activate" button a string is shown (e.g. M677F0582) - this is your Activation code to be entered when purchasing MiGiC. Tip: Copy-paste the string to avoid typos!